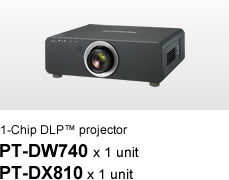 - A wide projector line-up supports a variety of installation conditions and content. 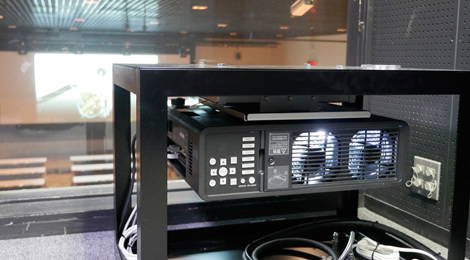 - The RGB Booster and Daylight View technologies ensure bright and vibrant projection even in brightly lit rooms. Edo flourished as a large city from the time of the Tokugawa Era, and the name was changed to Tokyo in the Meiji Period. The Edo-Tokyo Museum preserves and exhibits various historical and cultural articles. In March 2015, the exhibition system of the museum underwent a major renewal. 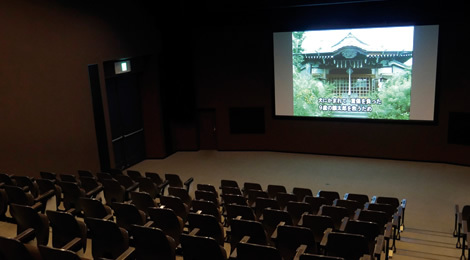 In the renovated museum, Panasonic projectors introduce the Edo culture with sharp, clear images. 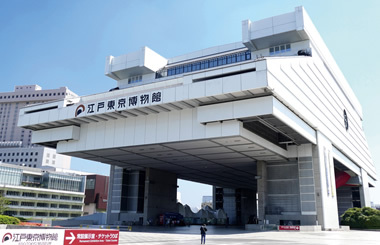 The Edo-Tokyo Museum opened in 1993 for the purpose of passing on the history and culture of Edo, which was established by Ieyasu Tokugawa, and to explore the future of the modern city of Tokyo. Visitors to the museum can enjoy looking at the many articles and replicas, and learn about Edo-Tokyo at the same time. The museum consists of three sections: the Permanent Exhibition area where various historical and cultural items of Edo-Tokyo are displayed, the Feature Exhibition area where the exhibition theme changes in intervals, and the Special Exhibition area. The museum displays a variety of articles with significance from a diversity of perspectives. 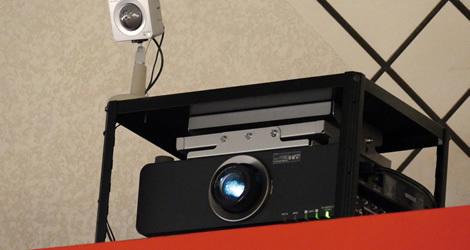 The audio-visual equipment of the museum had been renewed in intervals of about five years in the past. In March 2015, the Permanent Exhibition area underwent a major renewal for the first time in about 22 years. 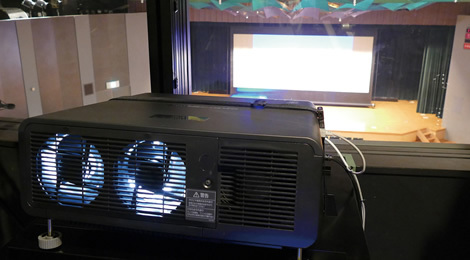 In conjunction with this, the audio-visual equipment in the museum was renewed for the first time in about seven years. 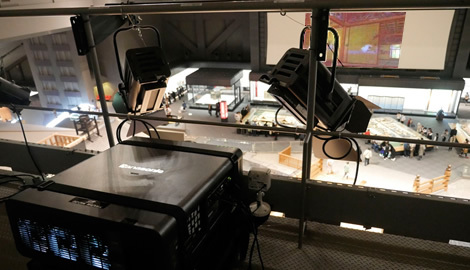 After examining the proposals of competing companies, the museum selected Panasonic’s audio-visual systems for installation at various locations inside the facility. The Permanent Exhibition area is very popular among visitors. Located at a corner of the area is the Edo Zone. In this zone, there is an actual-size replica of the Nihonbashi Bridge and a 300-inch wide screen on the other size of the bridge. 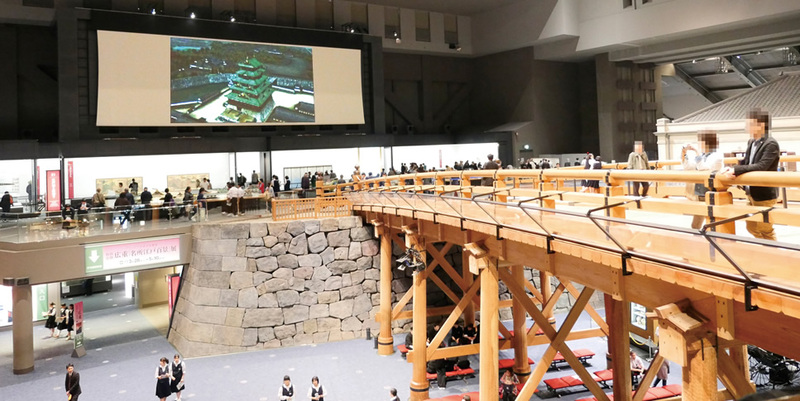 The screen shows a computer-generated image of the restored Edo Castle. "The previous screen had an aspect ratio of 16:4. In addition, the room is very large, so the image on the screen was somewhat difficult to see. With the new system, visitors can see brighter and clearer images," said Mr. Hiroyuki Kutsuzawa, curator of the Edo-Tokyo Museum. The museum plans to display various images in connection with displayed articles. Located on the large open-ceiling exhibition area, which extends from the fifth floor to the sixth floor, are the Edo Zone, Tokyo Zone and Feature Exhibition No. 2 area. The actual-size models created based on the results of painstaking research and investigation and the scaled-down diorama that faithfully reproduces scenery of the past are very popular attractions. 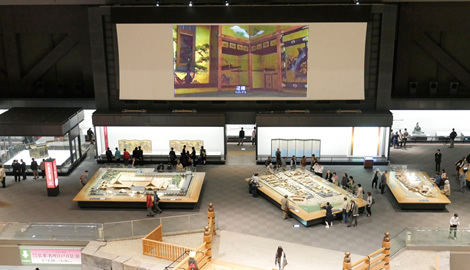 A large, 150-inch screen is set up to show an image of the diorama captured by the camera, making the visitors in the area feel as if they were standing on an ancient street of Edo. 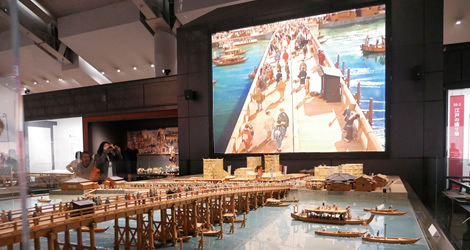 A highly detailed diorama of Edo is displayed on a 150-inch screen. to monitor the actual projected image. 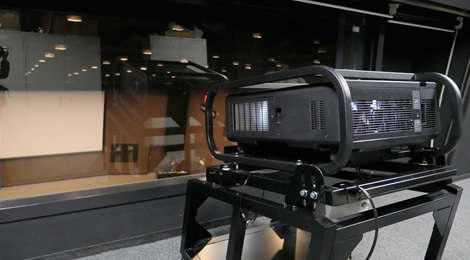 The Audiovisual Hall is used to show videos to visitors and also to provide guidance to visitor groups and hold lectures. 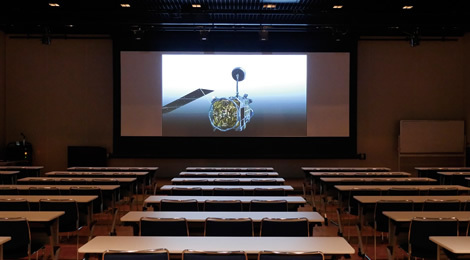 This hall previously had three screens, but they were replaced with one 200-inch wide screen, and the PT-D21K WUXGA real-response projector projects images. The previous three screens showed different articles or information. 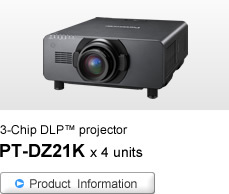 The high-resolution PT-DZ21K can display multiple images on one screen. The high brightness of 20,000 lumens provides clear images without having to dim the lights in the hall. 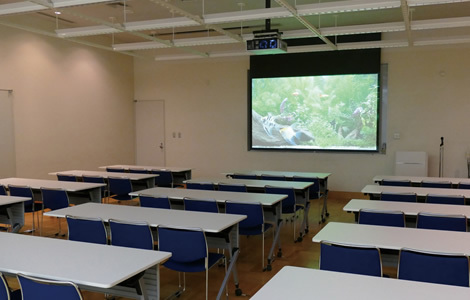 The video system is used effectively in lectures and other events. 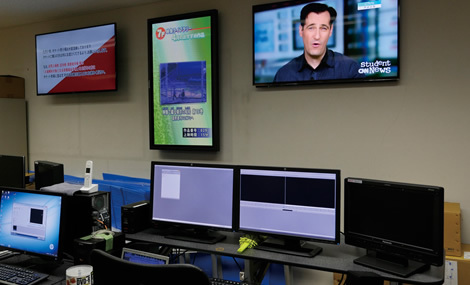 The PT-DZ21K projects clear images on the 200-inch screen. The Large Hall, with a capacity of more than 400 persons, is a rental space. It was renovated and became a multipurpose room. 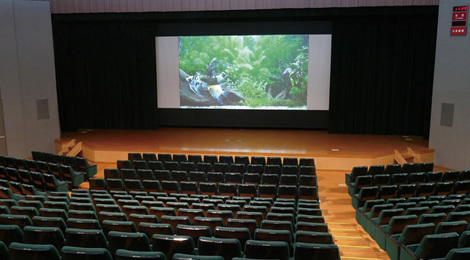 It is used for historical/cultural seminars and lectures and also for showing movies. Since seminars are attended by many elderly people, the displayed images must be bright. "The PT-DZ870 projects much brighter images than the previous system. Even small text is clear, so the new system is well received by elderly people," said Mr. Kutsuzawa. The PT-DZ870 projects bright and clear images. The Conference Room is used mainly for lectures for lifelong learning and others, and also for events hosted by companies. It is often used for job fairs. Since people attending lectures sometimes take notes of information given by the presenter, the lights cannot be dimmed. 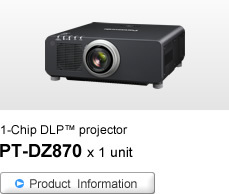 Even under such a condition, the PT-DW740 projects bright, easy-to-see images on the screen. 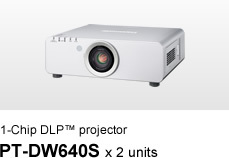 The PT-DW740 provides images that are bright and sharp enough for people in the room to take notes. Study Room 1 and Study Room 2 are used for meetings, events and seminars. Each room is equipped with a PT-DW640. 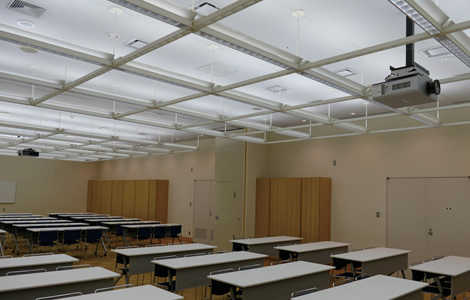 These rooms are about the size of an ordinary classroom, so the PT-DW640 provides ample brightness. When the center partition is removed, the two rooms can be used as one large room. Even when the two rooms are combined, the PT-DW640 projects bright, easy-to-see images without having to dim the lights. Each room is equipped with a PT-DW640. Many flat-panel displays are installed as digital signage at various locations in the museum, starting with those at the ticket booth and including those in the elevator halls. "We used to announce information using posters, but we switched to the digital system at the time of the previous renewal. The staff and I are talking about using more digital sources in the future," said Mr. Kutsuzawa. 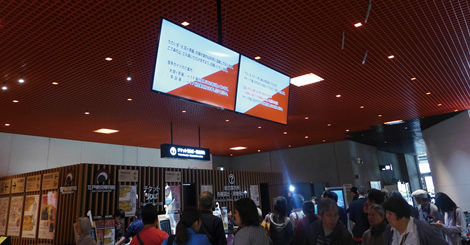 Touch-panel information boards were also installed, but since many visitors are elderly people, there is room for improvement, such as changing the touch-panel size and making it easier to operate. 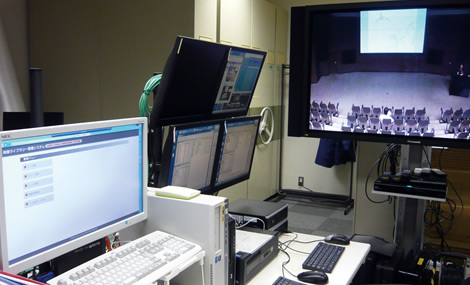 All videos and voice messages are centrally controlled from the AV Center. The Edo-Tokyo Museum is a popular place for both Tokyo residents and tourists. The Permanent Exhibition area attracts some 4,000 visitors per day. A voice guidance system was installed, and guidance is now given in four languages. 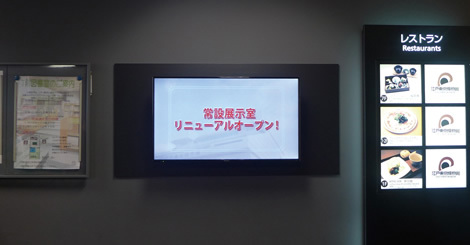 The museum plans to give voice guidance in more languages to prepare for the 2020 Tokyo Olympic and Paralympic Games. The museum is steadily realizing its slogan, "When in London, visit the British Museum. When in Paris, visit the Louvre Museum. When in Tokyo, come to the Edo-Tokyo Museum." * For more information, see the Professional Displays Global Site.